Happy Bloggers Challenge Friday! Thanks to those who played along with last weeks Splash of Color Challenge. This weeks challenge is Things with Wings. 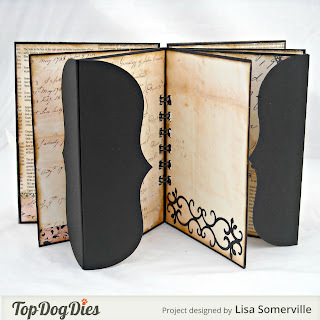 To create my flipbook, I die cut the Black panels using Top Dog Dies A2#4 Die, cutting a total of four panels, I adhered Prima pattern paper to the center panels, then adhered the Black panels back to back to form the pages. 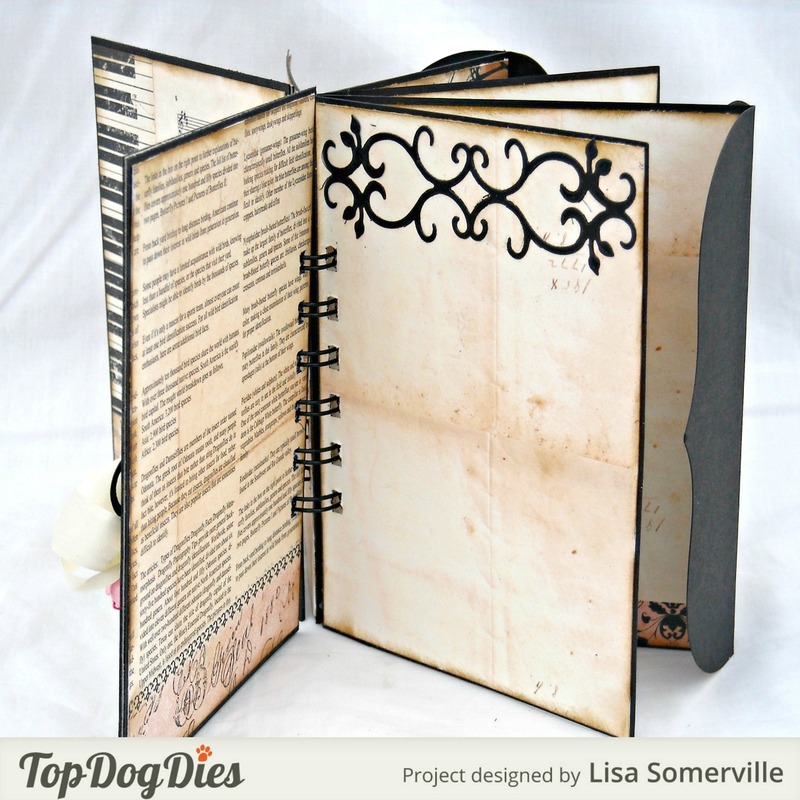 To embellish the pages, I added a few die cuts from Black card stock using the Leafy Flourishes Die. 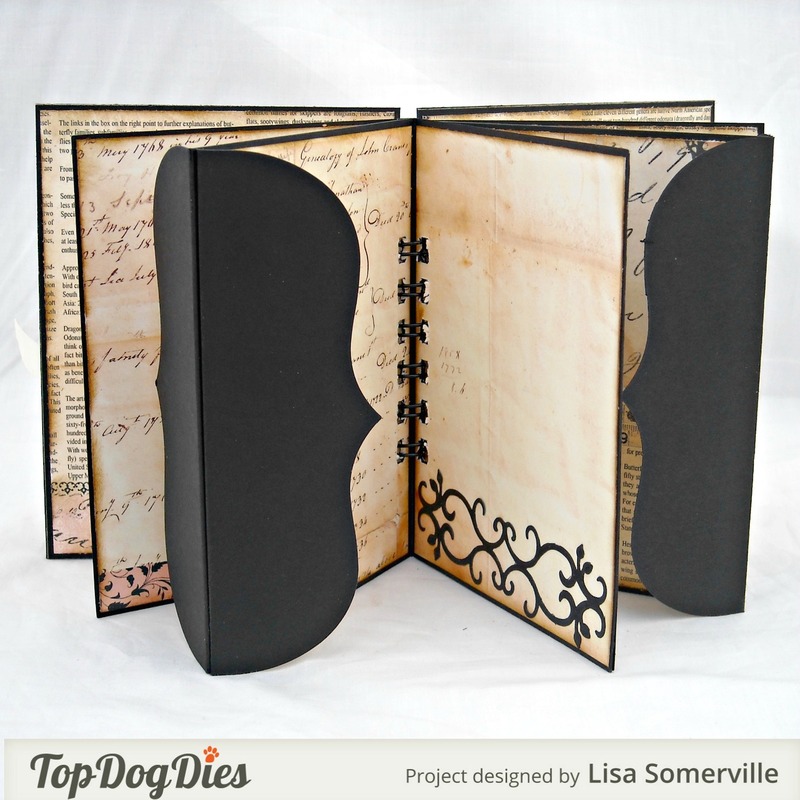 The front and back covers are cut from Silhouette Chipboard, then layered with Black card stock and Prima Pattern Paper. I used the Bind-It-All to bind the album. 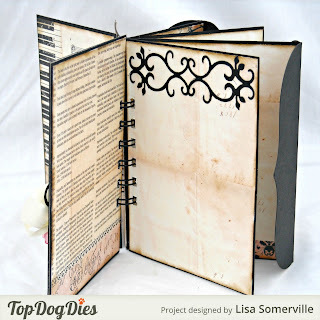 To embellish the front cover, I die cut the label die from Black card stock using the Pocket Albums Die¸then scored the die cut panel in half to created a mini file folder. The sentiment from Artistic Outpost, is White embossed on the Black card stock , I added a bit of White paint to add to the chalkboard look. 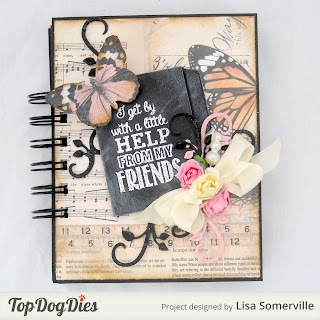 To further embellish, I added Black die cuts using the Leafy Flourish Die, Seam Binding, Zva Creative Mini Roses, a Stick Pin and a butterfly cut from the pattern paper. 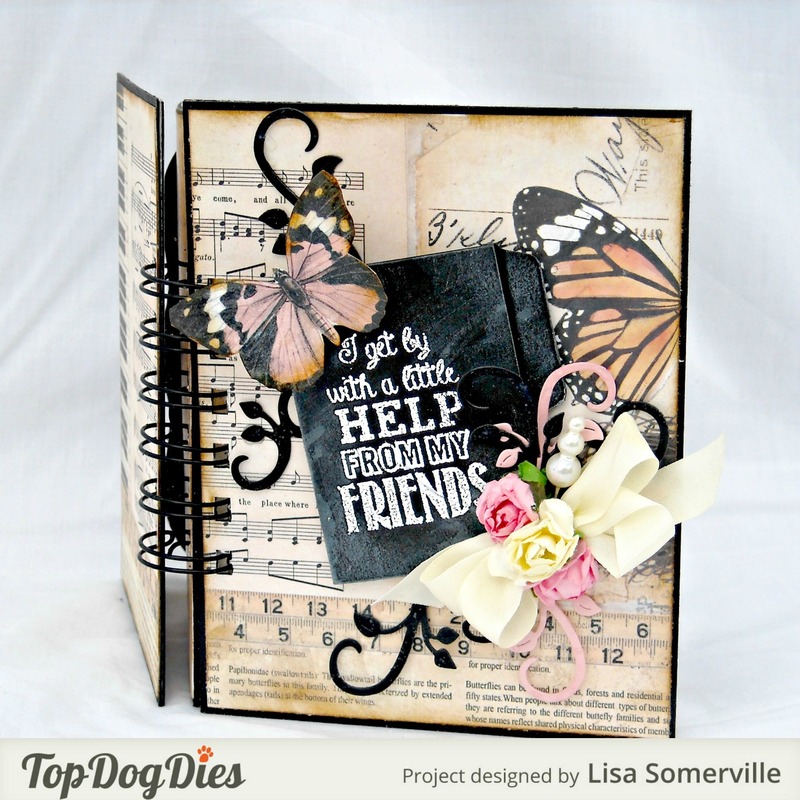 This is gorgeous, Lisa! 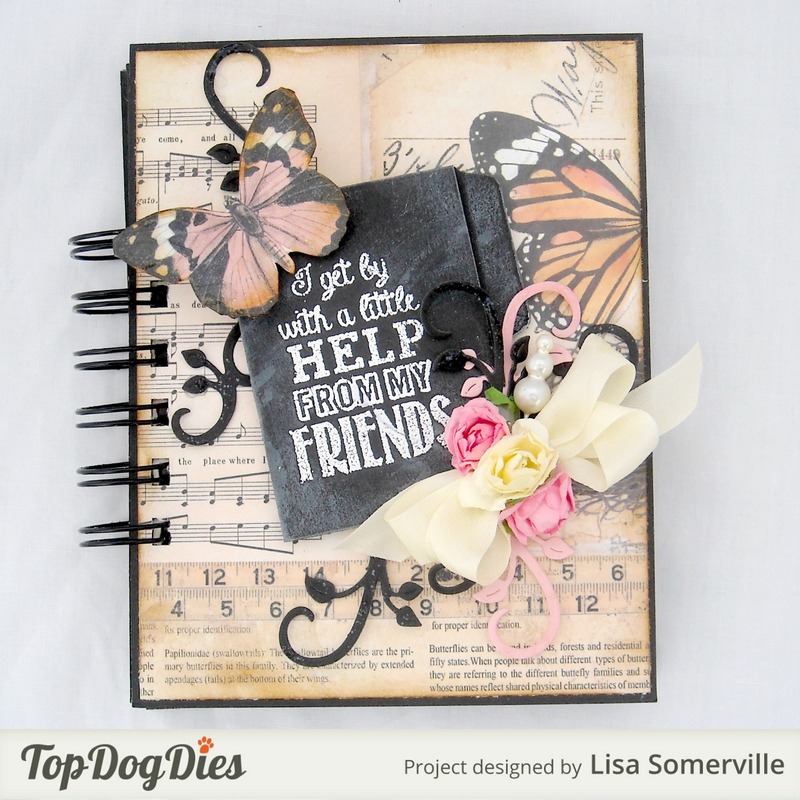 Love the elegant patterned paper you used and the mini file folder you created for the front cover. So pretty! 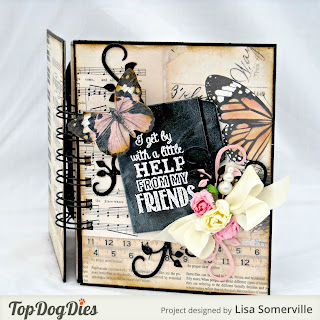 Such a great project using these new dies. Super idea! Such a great little book! Love that sentiment and it is so beautifully displayed! Love this!